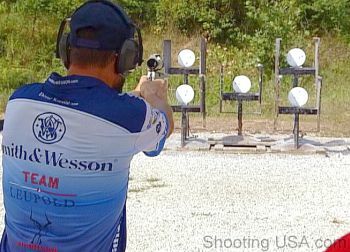 This week, ShootingUSA covers the Masters pistol championship at PASA park in Illinois. This unique multi-discipline handgun event combines Olympic 22LR Pistol, Handgun Silhouette, and Action Pistol. Mastering all three disciplines is very tough–in 22 years, no one has shot the match clean, scoring all the targets. 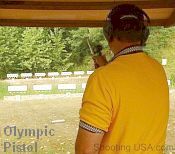 The first event is offhand (non-supported) 25m and 50m precision shooting with Olympic rimfire pistols. There are 45 total targets, and the bulleyes are small and challenging. Next, in the long-range Silhouette stage, competitors use rifle-class caftridges (such as 6.5 BR) to knock down 45 steel plates placed from 75 yards to 200 yards. 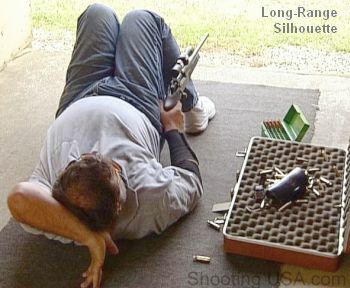 While the closer targets must be shot from a standing position, competitors normally use the lay-down “Creedmoor position” for the longer targets. The third and final event involves speed-shooting at banks of steel plates — an exciting event to watch. Each shooter fires three times at three different sets of plates. Fastest total time wins the event. This promises to be an informative ShootingUSA episode highlighting three different competitive handgun disciplines. ShootingUSA airs Wednesday nights on the Outdoor Channel: 8:30 PM and 12:30 AM Eastern; 7:30 PM and 11:30 PM Central; 6:30 PM and 10:30 PM Mountain; and 5:30 PM and 9:30 PM Pacific time. Share the post "3-Discipline Masters Pistol Event on Shooting USA"